Adam Haslett’s third book, “Imagine Me Gone,” expands on the notion of depression first evoked in “You Are Not A Stranger Here,” the acclaimed collection of short stories that brought Haslett Pulitzer Prize and National Book Award nominations. Building upon his first work, in which the short story “War’s End” deals with a man depressed to the point of suicide, Haslett expands upon depression and its detrimental effects in the novel-length tale that the subject warrants. The book follows a family of five as they struggle to fight the mental illness plaguing the patriarch, John, as well as his eldest son, Michael. Margaret, John’s wife, and their other two children, Celia and Alec, can only watch in horror and desperately try to keep from succumbing to the disease that haunts them. 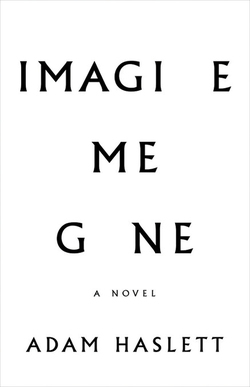 In “Imagine Me Gone,” Haslett surpasses himself in his second exploration of the subject through his multifaceted depictions of depression and its effects on both victims and witnesses of the disease, reaffirming himself as an improved, matured writer. Throughout, Haslett deftly explores the many different shapes and forms that depression can take within the minds of the father and son at the core of the novel. Though Margaret marries him knowing of his condition, the apparent dormancy of John’s illness appeases her—until catastrophe falls upon the family when it resurfaces decades later, bringing with it debt and resentment engendered by the passive, barely responsive state in which his compromised mental health leaves him. A “monster [that] has its funnel driven into the back of your head and is sucking the light coming through your eyes straight out of you into the mouth of oblivion” constantly challenges John’s sanity. Through his meticulously chosen metaphors, Haslett paints a intricate picture that immediately gives the reader a harrowing sense of what depression is like. Haslett’s strength lies in encapsulating the darkness that enshrouds the main characters’ brains by making tangible the hopelessness that depression often induces in its victims. One character explains, “There is no getting better. There is love I cannot bear, which has kept me from drifting entirely loose. There are the medicines I can take that flood my mind without discrimination, slowing the monster, moving the struggle underwater, where I then must live in the murk. But there is no killing the beast.” Haslett further demystifies the stigmatised disorder by representing its manifestation as entirely different in Michael. Whereas John’s “mind closes down… [and] goes into a sort of hibernation,” Michael’s by contrast goes into an overwhelming overdrive that threatens to slowly kill not only him but also his family, who has to watch helplessly as he wastes his life away. Indeed, Haslett breaks from the archetype of the depressed sad sap by making Michael a riveting character who defies the stereotypes associated with depression. He is haunted not only by the dark shadow of his mental health but also by his privilege as a white man and by the music he obsessively listens to. He studies African culture, history, and sociology to try to understand a group of people from whom he could not be more different. His love interests are all black women who turn out to be lesbians, women for whom he has “the desire to physically reverse racial privilege by becoming [their] slave.” This characterization depicts how the depressed are not ruled by their disorders; instead, depression just adds another dimension to who they are. Michael is an eclectic amalgam of characteristics that are altogether as erratic as his mind. For example, in an earlier scene in the novel, he reminisces as a young teenager in a letter to his aunt about a rendition of Donna Summer’s “On the Radio”: “Its opening piano and strings have always hovered between LA session-music shmaltz and the prelude to a tragedy, only to be redeemed by the purity of her voice in that first verse.” Though this level of musical insight is unrealistic for such a young man—the language used during Michael’s younger years is rendered much more in Haslett’s voice than in his character’s—his quirkiness and undeniable sincerity set him apart from the usual image of the depressed person. Spanning decades, from the beginning of John and Margaret’s relationship to the realization of their children’s adult lives, the evolution of the main characters as they grow and deal with their respective situations reflects Haslett’s growth as a writer. Just as his characters evolve to learn what it really mean to love your family in spite of an omnipresent and draining spirit, Haslett’s writing has matured in this accurate representation of the struggle with depression. Gone are the days of dark fiction from his earlier works; now Haslett incorporates comedic reprieves, particularly through Michael, to lighten the burden of hardship depression undoubtedly represents. “...I was selected by the Department of Education to voyage on their first Student Loan Probe to Jupiter, as one of four debitnauts. We traveled for years, passing through nebulae of internships and retail, through the wake of an imploding technology boom, and on through the outer rings of bankruptcy… Our hope was to make contact with the lost colony of the underemployed,” he narrates in a request for forbearance. Despite his troubled mind, his wry sense of humor shines through and endears him to the hearts of readers, adding yet another layer to the complex character of Michael. From John to Michael, from Margaret to Celia and Alec, Haslett’s novel is the tale of how depression in its myriad forms affects people in different ways—especially those who don’t suffer from it, as they become instead the helpless bystanders forced to witness its soul-crushing power in action. Haslett’s authorial evolution is evident in the maturity with which he explores depression and its different iterations, in the variety of his cast of characters, and in the complex incorporation of comedy into an otherwise serious story. He may have written about the topic already in his first book, but “Imagine Me Gone” paints a brand new, innovative picture of depression that demands to be felt. Depression has tangible effects on the nation’s economy and our shared prosperity. Is there a simple answer to the country’s malaise? Of course not. But we need to talk about it. And Americans need to talk to someone. In his second memoir, “Gamelife,” Michael Clune has given himself quite a task: to examine how computer games, popularly synonymous with hours wasted vegetating in front of a screen, profoundly shaped his identity. I want to know what happens when pain is so pretty that without it you’d be normal. I want to know if there’s a place where pain stops hurting, or maybe, where it still hurts the same but you just don’t care because it feels so right.